Date: Mar 27 2019, 12 p.m. - 1 p.m. 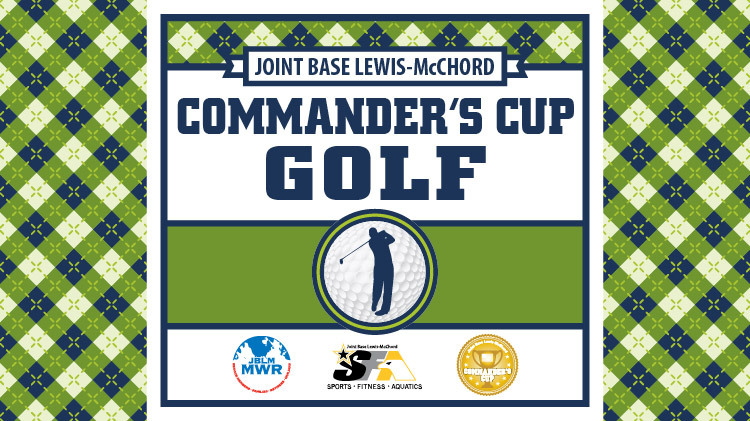 Attend the JBLM Commander's Cup Golf League Coaches/info meeting held Wednesday, 27 March at noon at Whispering Firs Golf Course on McChord Field. Coaches are required to attend, players are encouraged! The league will begin on 10 April and will be every Wednesday starting at 4 p.m.
All golfers will be charged $9 per match and $8 per golf cart (if requested) to be paid at the Golf Course. This league is open to only Active Duty military personnel, Army / Air Force, Reserve and National Guard service members assigned or attached to JBLM. The sign-up deadline is COB 3 April 2019. Call 253-967-6420 or see the MOI for more information.